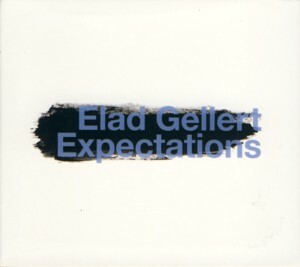 This is the debut album by young Israeli Jazz saxophonist / composer Elad GellertFind albums by this artist, recorded in a classic quartet setting with pianist Gadi SternFind albums by this artist, bassist Nadav LachishFind albums by this artist and drummer Dani DanorFind albums by this artist and with several guest musicians also contributing on selected tracks, most notably saxophonist Martin SeilerFind albums by this artist and trumpeter Julian HesseFind albums by this artist, both of which allow Gellert to create a large ensemble sound on two of the tracks. The album presents twelve original compositions, ten of which are by Gellert, one by Stern and the remaining one by the Israeli singer-songwriter Amir BenayunFind albums by this artist. The music, recorded in NY, is "a concept album, based on life´s experiences", as Gellert describes it. Gellert plays soprano, alto, tenor and baritone saxophones, which is rather unusual. Most Israeli Jazz musicians follow a similar path in their careers, starting with some basic musical education in their homeland, followed by several years of studies and performing in the USA; some of them even decide to live there permanently. Obviously American Jazz is the most dominant musical influence on most young Israeli players, which in retrospect is somewhat contra productive, setting them deep into the mainstream, which has unfortunately become stale over the years. Only relatively few Israeli Jazz players managed to escape this entrapment and Gellert is definitely one of them. This album is full of surprises, astonishingly diverse musical themes and stylistic approaches. Several of the themes are stated briefly in the short pieces, which serve as links between the longer ones, which are fully developed and explored. Beautiful melodies and elegant harmonies stand side by side with more freely expressed ideas, with allow for space and silence to be amalgamated into the sound. The overall depth of the music is especially impressive, being mostly quite lyrical and melancholic, with traces of contemporary Classical and Folklore motifs well hidden in the background, perhaps more subconsciously then intentional. The overall impression is more of a European Jazz album rather than one with the typical American characteristics, again perhaps unintentionally so. The level of performances is very good, with the lineup constantly changing from intimate duets, via the quartet, quintet and finally sextet, presenting a diverse and multifaceted panorama of moods and soundscapes. There is plenty of opportunity for solos by all participants. Considering the fact that the quartet members are all still very young, they all show a lot of potential and promise. This is definitely a superb debut effort and certainly one of the best Israeli Jazz albums released in a while. With his novel and refreshing approach Gellert deserves to be followed closely in anticipation of his future endeavors.